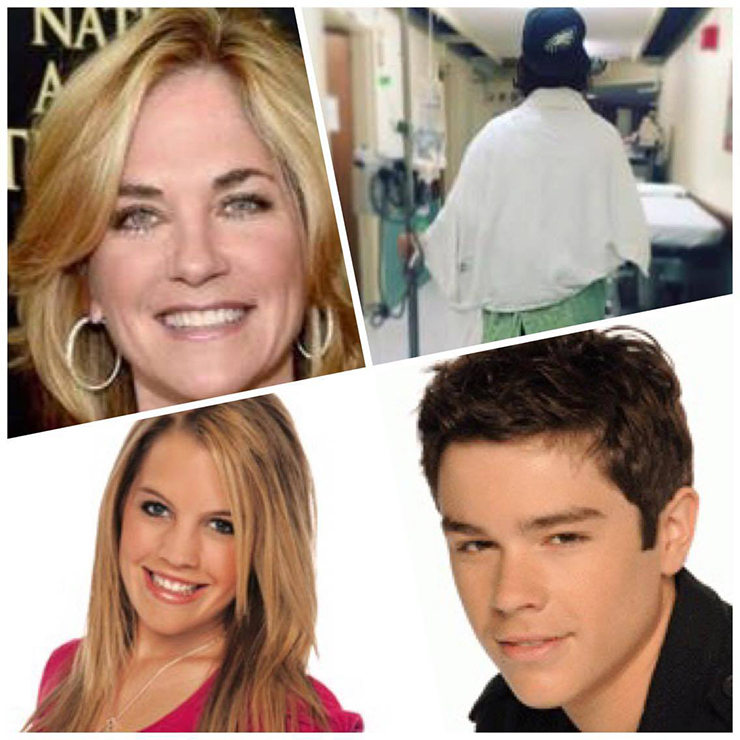 Two soap stars, Kassie DePaiva and Eddie Alderson, were diagnosed with cancer last year. On World Cancer Day, Kassie DePaiva Tweeted that she is cancer free. She also had an inspirational message for others struggling against cancer. Scroll down to see her full Tweet. To commemorate this important day another soap star took to social media to express gratitude on behalf of a loved one fighting cancer. DePaiva (Eve Donovan, “Days of Our Lives”) revealed to fans that she had been diagnosed with Acute Myeloid Leukemia in August of last year. She even went on a hiatus from “Days of Our Lives” (Days) while she received treatment for the disease. On “One Life to Live” (OLTL), Kristen Alderson (Starr Manning) and Eddie Alderson (Matthew Buchanan) amassed a devoted fan followings, each in her/his own right. Last year Eddie too was diagnosed with cancer. He’s been a frequent poster to social media since, keeping fans abreast of his progress in healing and to thank them for their thoughts and prayers. Kristen posted to Instagram today, express her admiration for her brother as he’s traversed the path of being treated for cancer. Below that you’ll find an older post where she offers her support to her onscreen mom from OLTL, DePaiva (Blair Manning). You’ll see another familiar Llanview face in the shot too! Today is #WorldCancerDay and I’m grateful I can say I am cancer free. To all of you who battle cancer…fight on! Trust the journey! It’s been so difficult seeing @kassiedepaiva (my 2nd Mama) fight this tough battle of hers, but we couldn’t be more proud of her strength! Her optimism defeats ANY obstacle! We ask for as much love, and prayers as possible for her and for everyone fighting Leukemia/Cancer.🙏❤️ Love you so much Kass! Next Article Could All My Children Be Headed to Netflix? I am elated to learn that Kassie is cancer-free! She was incredibly appreciative and supportive of those of us who trekked to New York to protest the cancellation of OLTL and AMC back when the furor began. I have been a fan ever since her Evil Dead 2 film days and was heartbroken when I heard of her leukemia diagnosis! I will continue to send prayers and positive thoughts her way and look forward to enjoying more of her multi-faceted talents in the future!